Chuo-Dori is stop 26 on the Togura Kamiyamada Onsen audio tour. 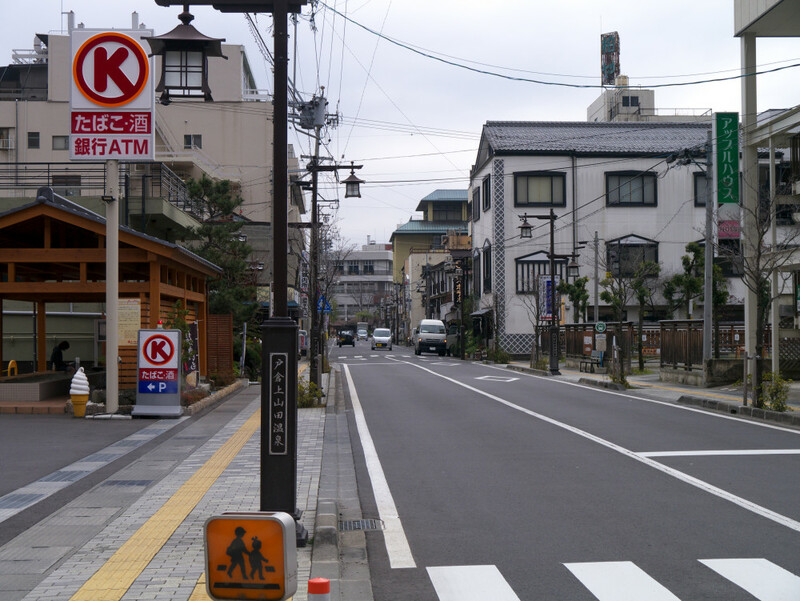 This road is the main street for Kamiyamada Onsen. It is lined with many of the main hotels and inns of the onsen town. Sprinkled amongst the places of lodging are a handful of soba restaurants and unique shops, such as a stationery store featuring Showa-era toys and candy, and a stained glass shop that offers hands-on activities. On the corner of Ginza-Dori and this main street is a convenience store with its own onsen footbath in front. Of the thousands of convenience stores in Japan, this is the only one with a footbath, just another sign that Togura-Kamiyamada is an onsen town.